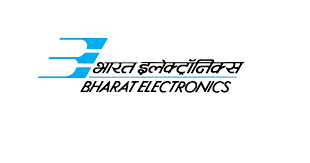 Bharat Electronics Limited (BEL) published notification for recruitment for 66 Probationary Engineers. View more information about recruitment for e.g. educational qualification, selection process, age limit, application fees, how to apply, important dates, important links all are as under. View more details for above said post by following link. Educational qualification: First class in Engineering Degree from AICTE approved Colleges in Electronics / Electronics & Communication / Electronics & Telecommunication / Communication /Telecommunication / Mechanical / Computer Science/ Computer Science and Engineering/ Civil Engineering. Age Limit: The maximum age limit for General candidates is 25 years of age as on 01/04/2017 for all posts. Application Fees: Rs. 500/- for General and OBC No application fee for others. The above posts are for all /any of the BEL Units/Offices in the following locations. Candidates who meet the qualifying criteria and whose online application has been accepted will be shortlisted for the written test. Based on their performance in the written test, Candidates will be shortlisted for interview. Selection will be based on the performance of the candidate in both the written test and interview.